We're going to Africa in August and can't wait to go back on Safari. 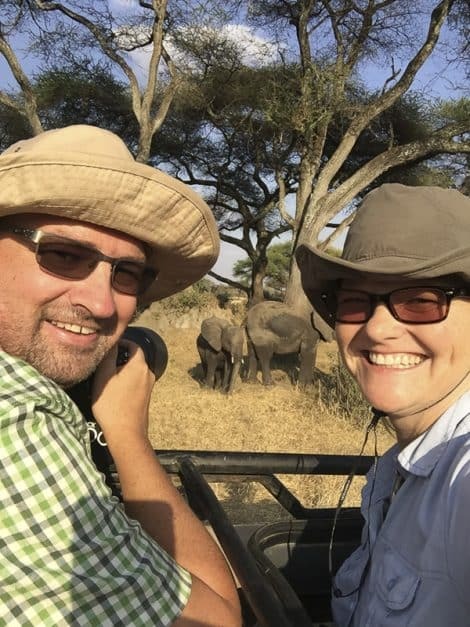 We've been lucky enough to go on African Safaris in Kenya, Tanzania, South Africa and Botswana. 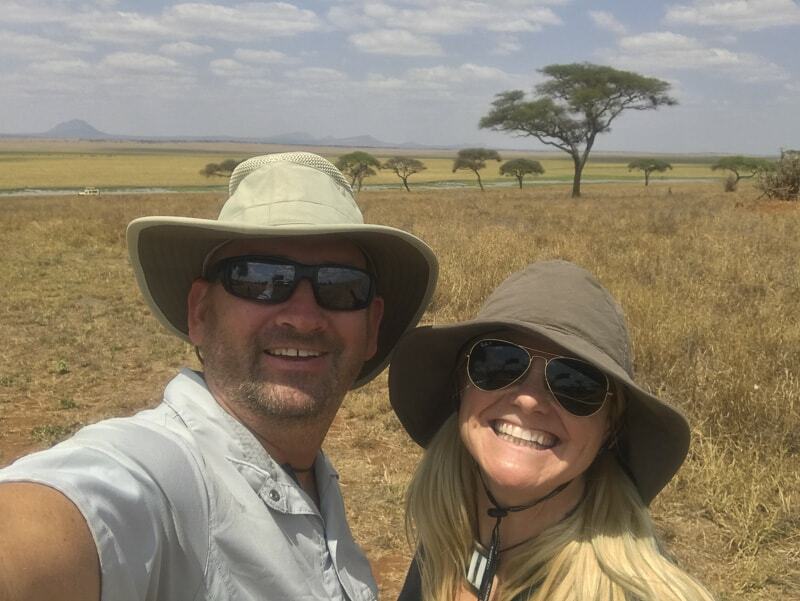 Dave and I have learned a lot about dressing right for safaris around the world and here's our tips and tricks for what to wear on safari in Africa. When watching the Indiana Jones or The Mummy movies, I loved the way that everyone dressed for the part. They looked like adventurers. And when going on safari we want to look like an adventurer too. A safari is definitely a grand adventure. But dressing right isn't only for looks, there are practical reasons people carefully choose what to wear on safari. 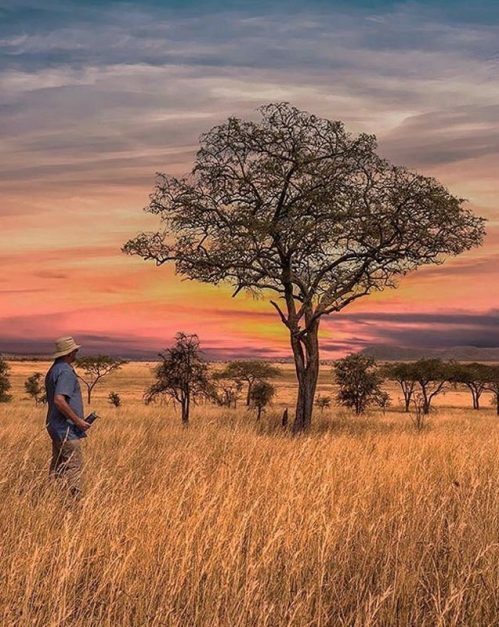 From keeping cool, to blending in, your khakis will be put to the test on the African plains and within the lodge. 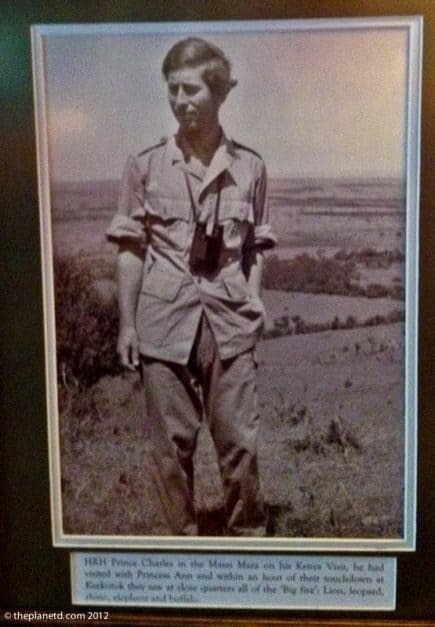 Wonder why everyone dresses in khakis when going on safari? Well, it's because you want to blend in with your environment. Especially if you're going on a walking safari. Chances are, if you book a multi-day safari, you will be walking at one point or another. We've even ridden horses on safari. The more you blend in with your surroundings the better chances you have of not disturbing the wildlife. When going on safari, it's important to protect your skin from the elements. We've faced immense heat while on safari in Africa and South East Asia. 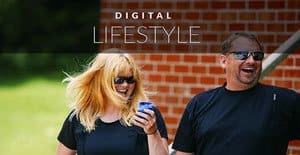 Although your first instinct may be to wear shorts and a T-shirt, you are better off wearing long sleeves and long pants that are lightweight and breathable. Staying covered up not only protects you from the sun, it also keeps the bugs away. You have a better chance of not being bitten by mosquitoes if you are covered from head to toe. There are even clothes out there that have UV protection and repel insects, BugsAway Products are good. Light colours will also help keep the bugs at bay. They are attracted to dark colours (probably because they blend in with the dark) so keep with the beige, light green and khaki colours to scare off tsetse flies and mosquitoes. I prefer button down tops made of microfibre material. Flowing fabrics can be cooler in the stifling heat than bare skin. Having a collar will protect the back of your neck from the sun and long sleeves will keep your arms from burning. A lot of people don't like the look of convertible pants, but the zip off options are perfect for a safari. Many times on safari you'll be going out at the crack of dawn. Mornings can be quite cool in the jungle or on the Savanna so having the option to take layers off when the weather warms is important. I start the morning in pants and then as the temperature rises, I can zip off the bottoms and turn my pants into instant shorts. Once again, make sure the safari pants are lightweight and breathable. You don't want anything like denim or heavy fabrics. Lightweight hiking shoes are a great option for safaris. Even when staying in the most luxurious lodges, you'll be in the middle of nature. We're fans of Keen or Merrell mid-ankle waterproof hiking boots. They're light, comfortable and have sturdy support. Make sure you break them in before you go. You don't want to be stuck with sore feet and blisters while trying to enjoy Africa. For the ladies bring a pair of nice travel slippers for eating in the lodge and flip flops are always a good option as well for bumming around camp. If you are actually camping, Crocs or similar shoes are another good choice because you can wear socks with them and they slip on and off easily. Men should also have a smart pair of shoes for the lodge. It's not imperative, but it is nice to change out of your hiking shoes after a long day on safari. 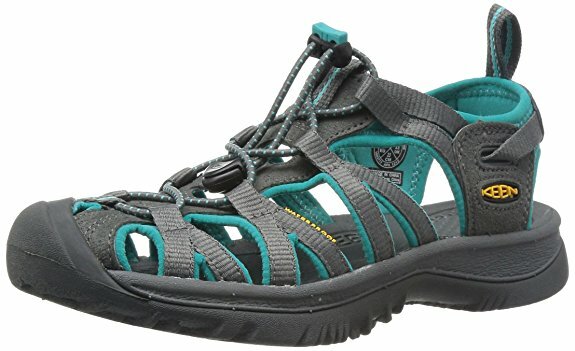 We just returned from a safari in Tanzania and found that our Keen whisper sandals (for men us this link) worked great. Our feet were cool in the truck but our toes were closed to keep our feet safe from bumps and bruises. 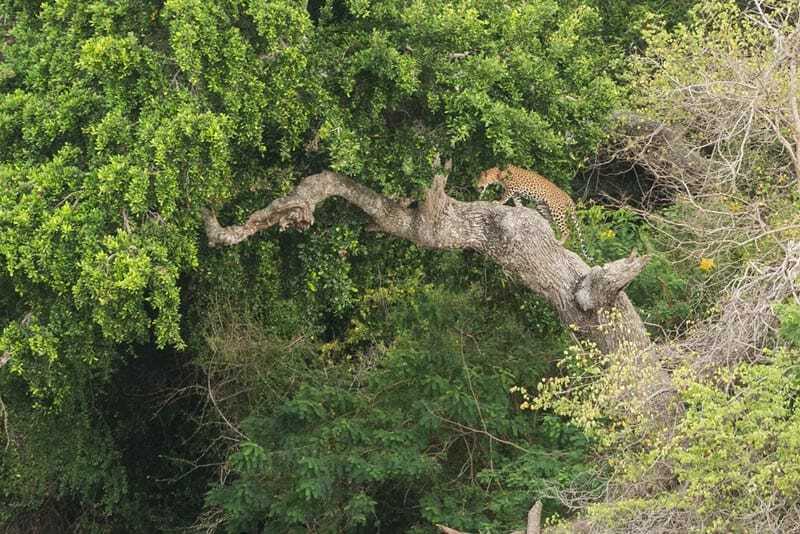 Let's take a short break and watch our Big Five Safari in Kenya! 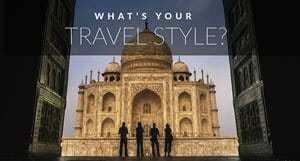 Want to know what to wear for travels and not just what to wear on safari? Check out our ultimate packing list. I'm a fan of wearing hats on safari. Even while inside a covered safari vehicle, a hat is needed. The sun seems to come in from all directions. A hat helps keep the sun off your face which, if you are like me, burns easily. It also keeps the sun out of your eyes so you can watch the wildlife more easily. When choosing a hat, get one that has a brim all the way round. This gives added shade for your neck, ears and nose. We found a buff to be invaluable. Sometimes at dusk the bugs can be relentless. A buff can pull up over your neck and nose. Now that you are covered from head to toe you are ready for anything. 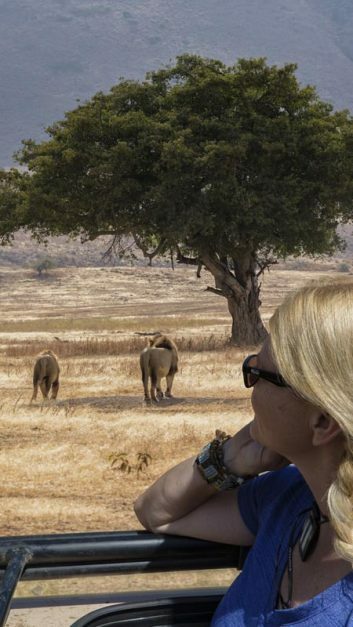 You may know what to wear on a regular safari, but what about a horse safari? 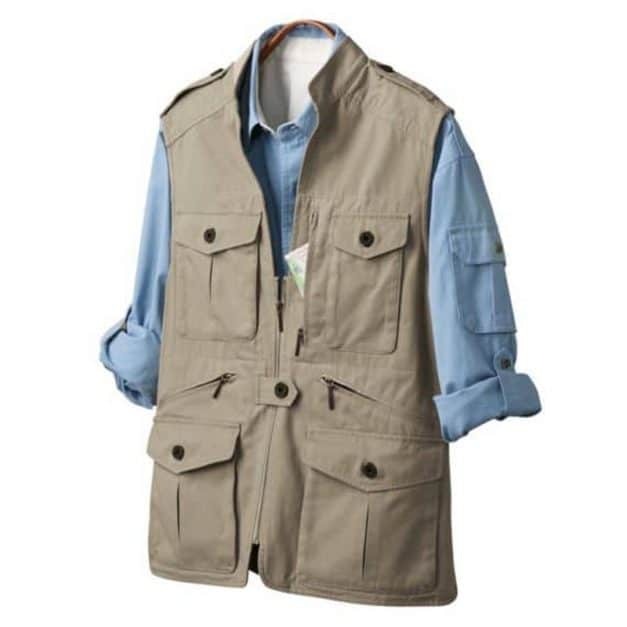 Don't worry about bringing formal clothing while on safari. Even the most luxurious of lodges don't expect you to dress up at night. Light neutral clothing is all you need. I would keep the same rules for dinner as I do for safari. Wear long pants and shirts to stay warm and keep the bugs away. I like to dress things up a bit with a silk scarf and Dave likes to wear a crisp button down shirt. It does cool off a lot in the evening on safari in Africa, so a fleece sweater or extra layers is a good choice. You can dress in smart casual wear, but don't worry about breaking out the Donna Karan or Stella McCartney. A nice pair of trousers and a stylish shirt will do the trick. I'm a fan of long skirts with sandals when on safari. It's flowing yet comfortable. We're always fans of sarongs. 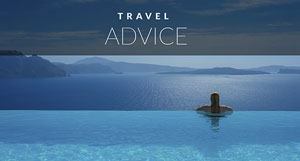 I love walking around in a sarong or bringing it to the pool. I find it is even a great coverup from sun if I feel too hot. The sun can be harsh on the African plains. Sunglasses are a must. I recommend bringing two pairs. We've had sunglasses break while on safari before and we were glad to have a back up pair. We're big fans of Switch Sunglasses because we can quickly and easily switch out our lenses depending on the type of day. Lenses can change to darker for very bright days, lenses for overcast days and even low light. Dave has RX sunglasses that are prescription so he can spot wildlife even with his sunglasses on. He has a very light prescription so he doesn't need glasses all the time, but it's great to have prescription sunglasses to see everything crisp and clear. 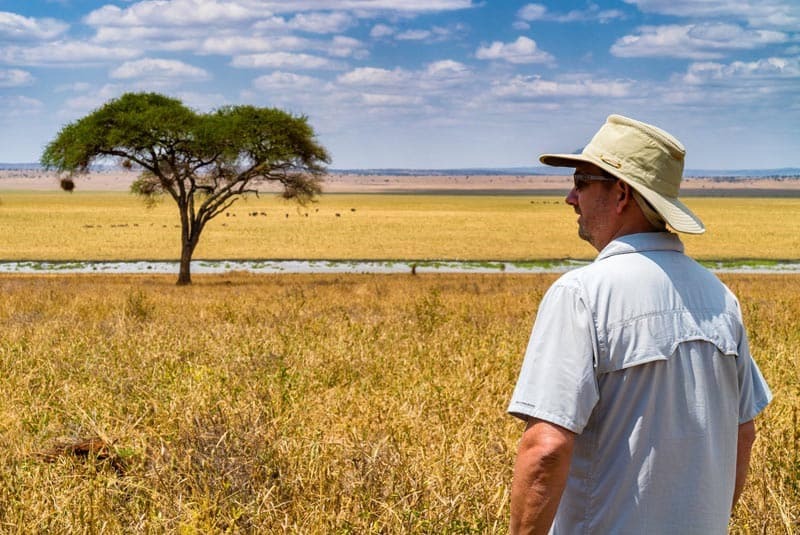 Now that you know what to wear on safari, check out a Masai Mara Safari. 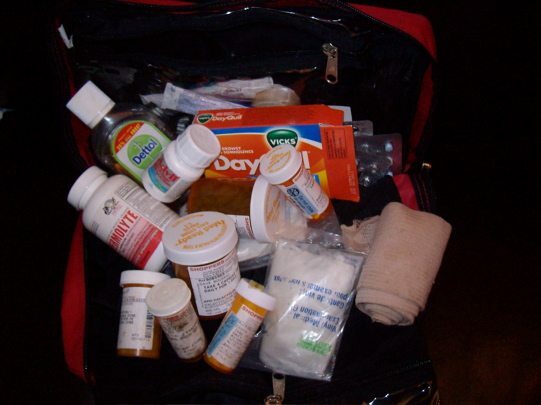 Make sure to pack all your prescription medications and extra as you'll be in very remote places. Have a good stocked first aid kit with the usual suspects but also think about having a few extra items like chapstick, sunscreen, after sun lotion, bugs spray, allergy medication, (you never know what you might be allergic to out there) Tylenol or Advil. A good moisturizer is a must. It is really dry on the African Savannah and facial and body moisture will come in handy. So there you have it. 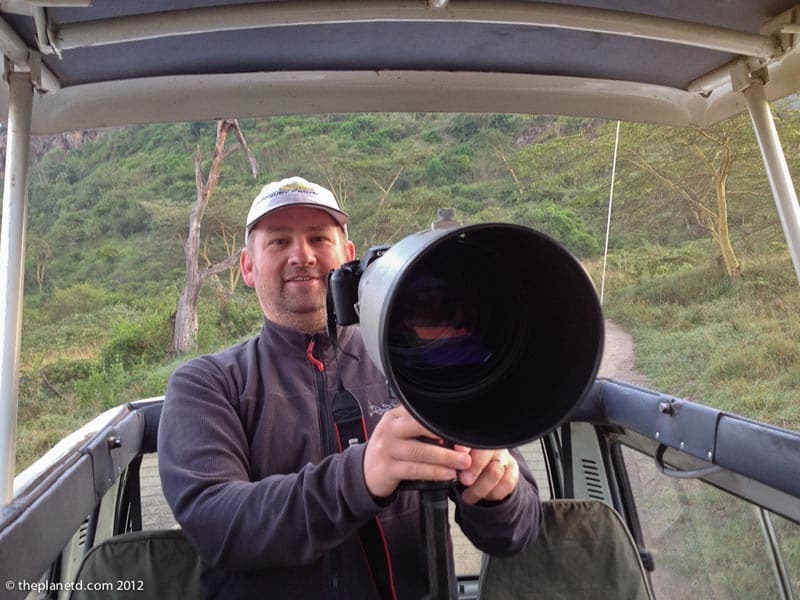 Hopefully when you go on your next wildlife safari, you'll not only look good but feel great! Follow these rules and you will be the smartest looking adventurer in the lodge. 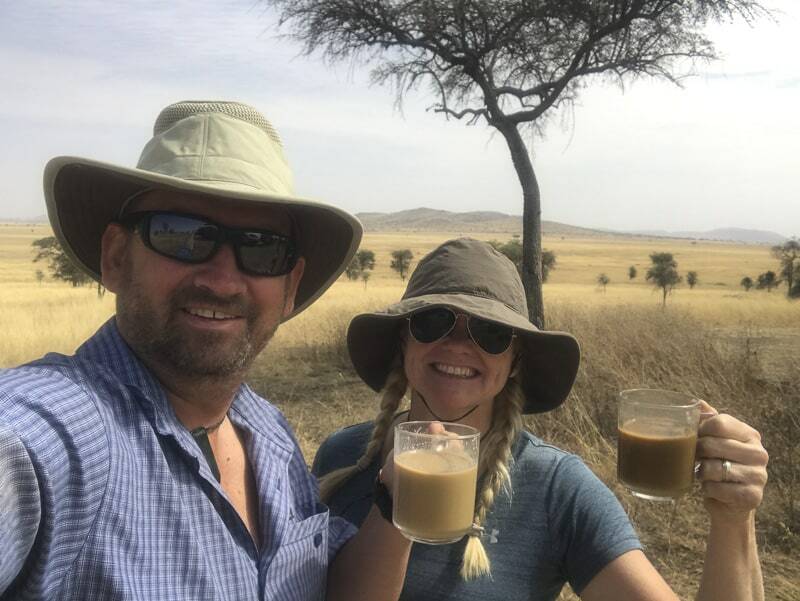 22 Responses to "What to Wear on Safari – Africa Travel Inside and Out"
Just wondering why you say “you are better off wearing long sleeves and long pants” but in every photo you’re wearing short sleeves? And I thought that wearing khaki when in Africa is just a trend, when it’s actually an important part of safety precautions :)!!! Thanks for illuminating me, and maybe even saving my life, since I don’t follow trends but plan to go to Africa. By the way has someone been in Nigeria? 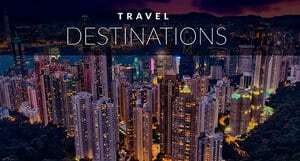 I’ve read that there are several reasons why Nigeria is the best travel destination https://blog.asaptickets.com/destinations/10-facts-why-to-visit-nigeria/ . Would like to here some other responses to decide which African country to visit. Bravo to my fellow canadians from another canadian. Keep up the great work !! Great post! I also love the pictures! You really need to pack your clothes well when going on a safari trip. Better to be prepared! Good call on the first aid kit, I really need to get a small kit together to take on my international trips. Especially off the beaten path ones far from easy medical care. Thanks for such a great and useful list. It helps a lot while planning for Safari Trip. Great Read for everyone. 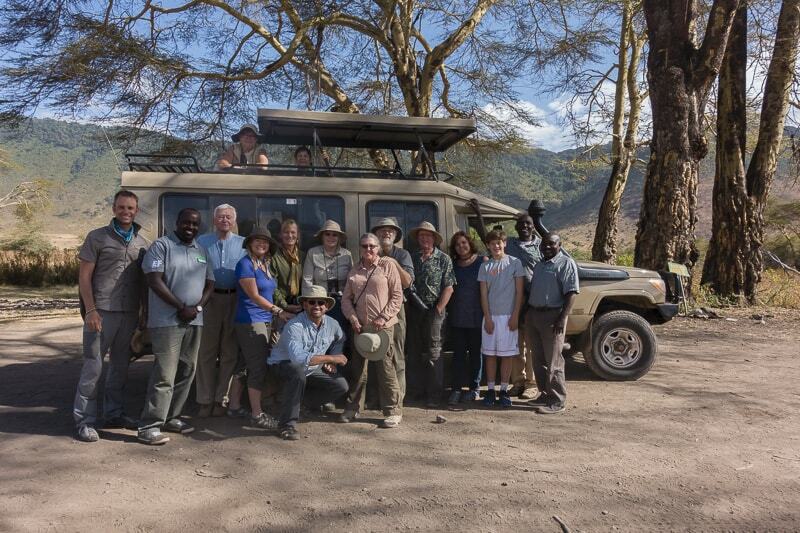 Outstanding list thank you so much for wonderful sharing to travel the safe and secure safari trip nice tips thanks. Great list guys. Going on safari looks amazing, I love hiking and know very well about the importance of being prepared and with the right clothes! When I climbed a volcano in Chile I had a very different list but equally had to give it lots of thought. Thanks for sharing! Amazing Post! thanks for the sharing..
i jst love jungle safari. The article is great it help me in chitwan safari. Thanks for this article . Awesome! Have a great time in Chitwan. Hope you see some rhinos! Ha, such a great article. Thank you for all the tips. I am planning on going on a safai next year. Glad you enjoyed it! Thanks and have a great time on your safari. 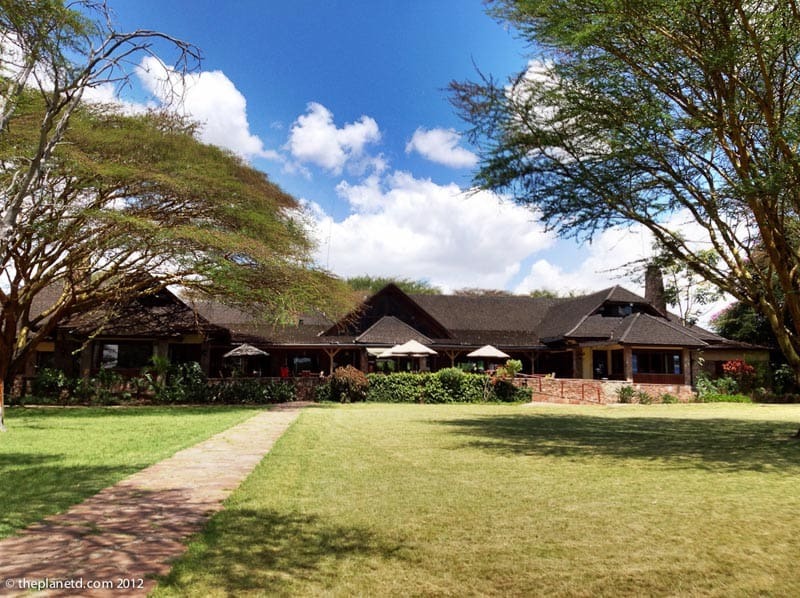 Safari in the Masai mara in kenya is very Awesome experience…..Thanks for this awesome article. From my many walking safaris in the Masai Mara in Kenya… Sneakers should have hard rubber as thorns penetrate soft rubber easily. Soft rubber sneakers, open-toed sandals or even slippers are fine for the safari vehicle. Jungle safari is most adventures for everyone, It is most exciting for everyone. I really appreciate this article. 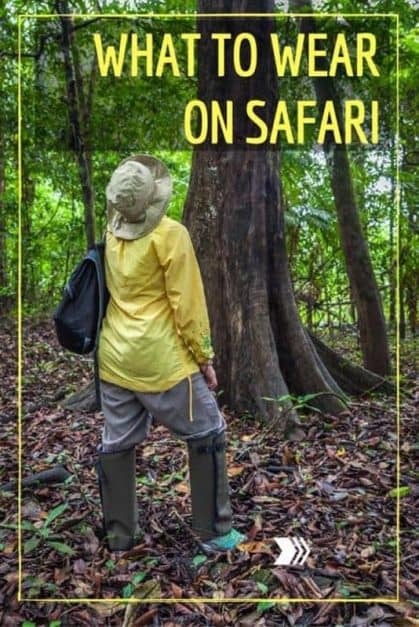 I never thing about how to wear safari traveling, Its really awesome for me and for all getting new and exciting information. its really nice for everyone.